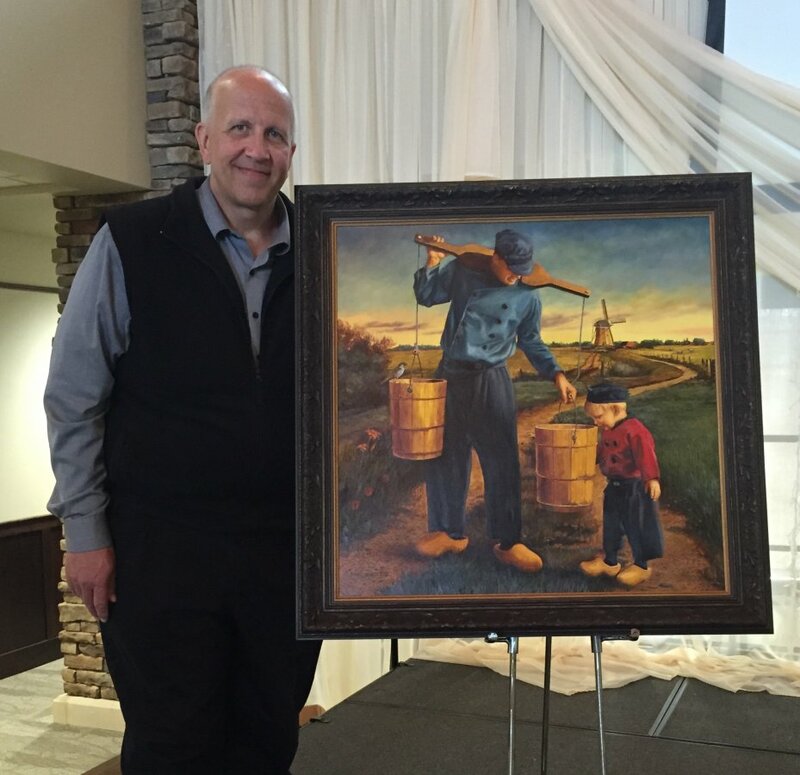 The commissioned art piece by local artist John E. Vander Stelt was unveiled at the 2015 Tulip Festival Extravaganza on March 18. The oil painting, entitled “A Faithful Walk,” features a father and son in the foreground, both of whom are wearing clothing from the province of Volendam. The father is carrying buckets of water with the assistance of a traditional yoke, while his son takes a curious peek inside a bucket. “I wanted to paint a scene that would take a glimpse into the heritage of the community and of the festival,” says Vander Stelt. The painting also features a Dutch windmill in the distance, highlighted by a recent sunset, and a long path on which the father and son are standing. 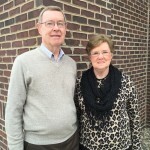 “The winding path connects and leads from the present where the father and son stand, to the past with roots in the Netherlands,” Vander Stelt describes.  Two options of prints of the work are available for purchase at the Tulip Festival office. The first option is a traditional print on sterling paper, 75 of which are signed and numbered by Vander Stelt. The paper is sized at 22”x22” and the print at 18”x 18.” The signed prints are $50 each and the unsigned prints are $30 each. Print number 1/75 will be framed and auctioned off at the grand opening of Stadscentrum later this spring. A canvas print of the work, sized at either 24”x 24” for $275 or 30”x 30″ for $325 (plus shipping/handling), can also be ordered through through the Tulip Festival office. 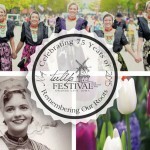 Prints of the work can be ordered by calling the Tulip Festival office at 712-707-4510. The original art piece, sized at 30”x 30,” will be on display at Stadscentrum during Tulip Festival.